Just thought I'd post here that CNG MAN SL202s 1618 and 1619 have been moved from Newton to Mile End. I saw 1618 on a Mile End shift a couple of weeks ago. Also, MAN SL202 CNG 859 is at Mile end, not Camden Park. Ex-Darwin bus #1358 rego is SB 43 GT. Volgren CR222L, presumably a Volvo B10BLE as well. MAN SL202 CNG 857 has been moved from Mile End to Newton. Was doing a Newton shift today. I've got a feeling that 854 could be there as well, but can't confirm at the moment. I'm pretty sure the latest batch of 1350 series vehicles are NL202s. The 135x ex-Darwin buses are a mix of CR221L-bodied NL202s and CR222L-bodied B10BLEs. 1358 is indeed a B10BLE, in the red-front AdMet V2 livery. Some recent changes going by obs, regarding CNG MAN SL202s. - Scania K320UB 'CB80' 1946 at Port Adelaide depot, to accompany the other K320UB's. Rego is - SB 09 LZ. 1240 has had a 'makeover' and is in a new AOA, this time for Statewide Super. The Scania K280UBs should be B43Dw according to ABC deliveries. The ex Melbourne MAN SL200s are still in the list - I was under the impression these had all now been withdrawn. It would be nice to see Adelaide enthusiasts filling in the remaining gaps in the list during 2017. They appear as current in the Torrens owned list under Adelaide metropolitan. The TT and SL owmed lists haven't been updated for quite some time, current fleet info is shown in the full fleet list for each operator. All K280 and K320 CB80s are B43DW, except for single door ones which are B45F7W. Single door ones include 3227-3229, 3231-3236, 1373 and probably one or two I've missed as well. Lt. Commander Data wrote: All K280 and K320 CB80s are B43DW, except for single door ones which are B45F7W. That sounds better, we at Typos'R'Us apologies for any confusion. When I next look at my photos I'll look at my interior one of a CB80 and count them. 43 or 45 depends on whether you count the front seats as 1 or 2. In most buses they are narrower than the other two seaters and in practice are usually only occupied by one person but you pays your money and takes your choice. It was simpler before most states changed over from licensed to seat to licensed to carry etc. MAN SL202 CNG 1620 has been transferred from Newton to Camden Park. A couple of others were relocated there temporarily, but this vehicle has been consistently showing on Camden shifts lately. 436 is still listed as being in service, but it's been retired for months now. 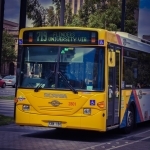 I have sent an email to the SA fleet lists updater regarding several inaccuracies with the Torrens Transit fleet list. Hopefully they will be corrected. All 1700 series midis (11.190s) have been withdrawn, as they were only in service temporarily in early November to help meet numbers during a cruise ship visit. All TT diesel SL202s have been retired sadly. 444 and 445 are the only diesel ones still in service, with LCB at Morphettville. Last edited by TA3001 on Sat Jun 23, 2018 11:00 pm, edited 2 times in total. Also, Scania K320UB 1966 is now in service at Mile End. Not really good news in my opinion. Another CNG SL202 has presumably done it's last run. MAN SL202 CNG 1602 was withdrawn on 30/03/2018, yet it is still listed as being in service. 860 was transferred to Camden Park to account for it due to no AdBlue facilities being available at this depot for it's replacement. Is it possible to finally remove it from the list?